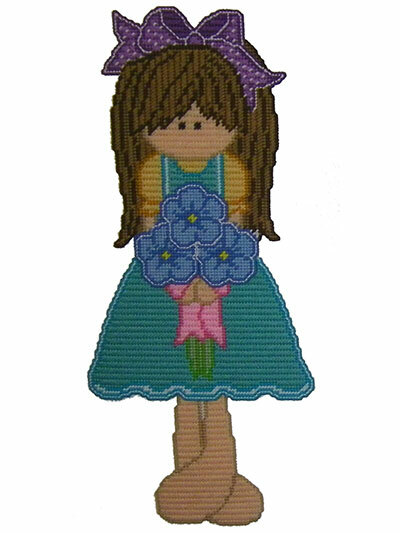 Every little girl will love these adorable wall hangings. 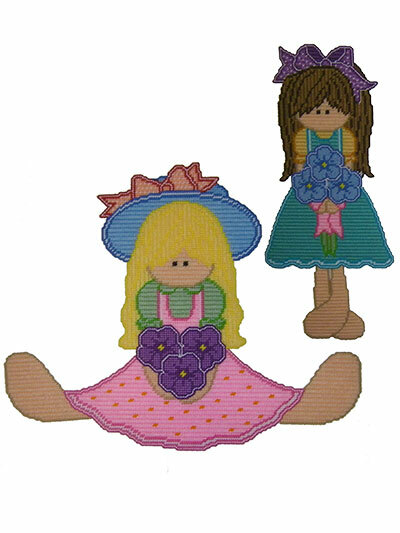 This pretty duo stitched in pastel colors includes springtime dolls showing off their freshly picked bouquets of flowers. Both are stitched on 7-count plastic canvas using worsted-weight yarn. 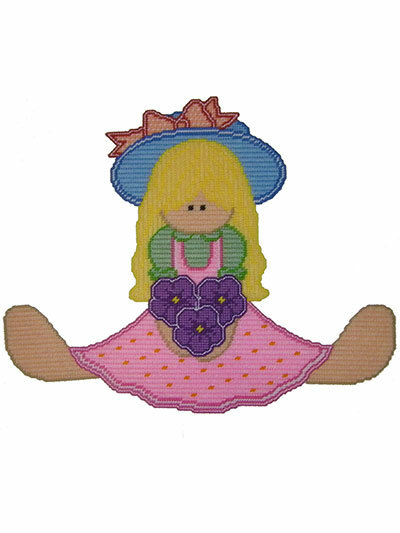 Standing doll is 10" x 24" and sitting doll is 23" x 19".